Four Baltimore County school board members submitted a multi-part complaint today to five state agencies, urging authorities to investigate the purge of roughly 2,600 financial disclosure statements that occurred in April and August amid discussions on the scope of a widely-anticipated procurement audit. Kathleen Causey, Roger Hayden, Julie Henn and Ann Miller signed off on the complaint directed to the five agencies: Attorney Grievance Commission, Office of Bar Counsel; the Maryland State Ethics Commission; the Maryland Department of General Services, Records Management Division; Maryland State Archives; and Maryland’s Office of Education Accountability, a new investigative department created by executive order under Gov. Larry Hogan earlier this month. The Baltimore Post discovered the mass document purge early last month, six months into an investigation concerning employees’ financial disclosure statements. Although some of the school board members requested supporting documentation and emails from The Baltimore Post for the complaint which relate to The Post’s discovery of the document purges, all four members are unable to comment on details of the complaint, itself. In February, The Baltimore Post began requesting the financial disclosure documents for the school system’s central office staff. Requests to review the records continued through early August. The statements are required to be filed annually by employees who have the authority to spend, direct the spending or commit school funds. In early August, The Post then requested and later received the Certificate of Record Destruction – or “destruction log” – after encountering inconsistencies in the retention of certain employees’ records as The Post was in the process of actively requesting the documents. It was then when The Post discovered a massive document purge which included the destruction of over 20 years of the school system’s disclosure documents, spanning years 1997 to 2013. 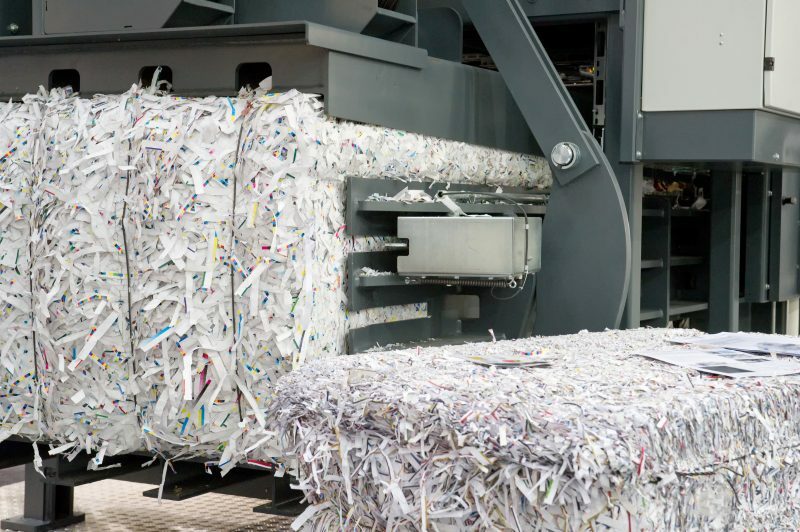 The destruction log showed it was the first financial disclosure document purge of its kind in the system’s recorded history. A redacted version of the log can be viewed here. Although the purges occurred during heated discussions on the scope and control of a full-scale procurement audit, even school board members were unaware of the document purges until mid-August, when The Baltimore Post published its first of six stories on the discovery. Despite the discovery, the school system refuses to discuss the purge with The Baltimore Post. But in an August 21 letter sent to Maryland lawmakers and state and local school board members, Margaret-Ann Howie, Baltimore County Public Schools’ legal counsel, disclosed that the law office, which is directed by Howie, destroyed the records. The Baltimore Post published its first story on the document purge on August 10. The Post’s article stated the purge occurred amid discussions on the scope and control of the procurement audit. The Post also wrote that the purge occurred one week after former Superintendent S. Dallas Dance was sentenced to jail for perjury after failing to disclose roughly $147,000 in income he earned consulting for other companies and school systems, as he led Baltimore County schools. Several requests have been made seeking clarification and comment on the timing of the records destruction amid calls for an audit. But Howie and other school officials will not respond. Yet in her August 21 letter, Howie cited space limitations as the reason for the destruction of 21-years’ worth of financial disclosure records. She said in the letter that the timing of the purge was due to space needed for 300 incoming financial disclosure records that were due by an April 30 deadline. The destruction log shows that roughly 2,400 statements were purged in April and 200 discarded in August. Each financial disclosure statement is comprised of roughly 15 pages. Yet, despite Howie’s explanation in the letter that the law office purged 2,400 records to make space for 300 incoming records, The Baltimore Post found that other records – of similar volume – were sent to be stored in an off-site facility between the times of both purges. In contrast to Howie’s assertion citing space limitations, the school system’s law office chose to send a collection of records previously inspected by The New York Times, The Baltimore Sun and The Baltimore Post to an off-site storage facility. Between April and August, eight boxes containing nearly 25,000 pages of financial records, credit card statements, expense records and emails originally requested by The New York Times, and later the Baltimore Sun, as part of their exposés last year on the school system’s questionable employee/vendor relationships, were sent off-site to be stored. Calls for a full-scale procurement audit were first triggered last fall after national coverage via the The New York Times report on Baltimore County schools’ laptop-for-every-student, (STAT) initiative brought to light questionable contracts and vendor relationships with the system’s administration and some of its technology vendors. After Maryland State Senator Jim Brochin called on the state school board to audit the school system, requests for any type of audit of the system gained traction. And while Maryland lawmakers disagreed on who should control the audit -a state agency or Baltimore County schools, itself- those audit discussions would gain significant momentum once the school system’s former superintendent, S. Dallas Dance, was charged with perjury in January 2018 – and pled guilty in March – after prosecutors found him to have provided misleading information on his 2012, 2013 and 2015 financial disclosure statements. In January, The Baltimore Post requested to view all 2017 open requests made by the Baltimore Sun of Baltimore County Public Schools. Through a Maryland Public Information Act (MPIA) request, access to those records was obtained. Those responsive records showed that Sun reporters had requested all records requested by The New York Times after the Times’ reporters had begun its public record investigation of the school system seven months before. As part of its investigation, The Baltimore Post requested additional records which detailed the law office’s interference in allowing both publications’ reporters access to the requested documents. It was found that Howie arranged for reporters from both publications to inspect the records together. The arrangement created a complication. Although the Times reporters were first to request the records, when Sun reporters grew impatient with the Times’ inspection of certain documents, Howie warned she would shut the record inspection down, email records show. And when the atmosphere during the inspection did not improve, Howie made good on that promise. Reporters from both publications were then dismissed from Baltimore County school headquarters in the middle of viewing the public records, email records also show. The inspection would continue weeks later. The Baltimore Post was able to inspect the boxes of records – and did four times between February and April. And, through an MPIA request sent to Howie earlier this month, The Post requested to examine the documents for a fifth time. It is unclear why the 2,600 financial disclosure statements – each approximately 15 pages – were not also sent to the same off-site facility for storage during the same time the other records were relocated. The law office did not say. While the school system retained the financial disclosure records according to its own four-year document retention policy which mirrors state law, The Baltimore Post reported earlier this month that the destruction of records failed to comply with Maryland State Archive’s (MSA) document destruction requirements, which requires agencies to both seek written approval for all document destruction schedules and to submit a Certificate of Record Destruction upon the destruction of any and all corresponding documents. Records Retention and Disposition Schedules (or retention schedule, for short) is an official document, created by a government agency that describes when and for how long a government record shall be kept and at what point it can be destroyed, or if it will be kept indefinitely. Although Baltimore County schools does not have an approved financial disclosure statement retention and destruction schedule with the MSA, Baltimore County’s school board currently has roughly one dozen retention and disposition schedules approved by the MSA for unrelated documents, such as those for bid documents and special education records. However, the last recorded update to any of Baltimore County school board’s retention schedules occurred in 1956. And although the MSA requires that agencies update their retention schedules every two years, the most recent schedules filed with the MSA are to be followed. Without an approved retention and disposition schedule, however, documents may not be destroyed. In contrast, some other Maryland school systems have complied with the MSA in recent years. Anne Arundel County Public Schools, for example, has approved retention and disposition schedules which were updated in 2017. And Howard County Public Schools’ retention schedules brought many of its document destruction and retention schedules up-to-date earlier this year. But who is responsible for the financial disclosure records? According to the system’s own retention schedule document, the board is. And, under Maryland law, the school board governs the school system with the advice of the superintendent. Additionally, a board policy names the board – along with the independent ethics panel – as having charge over who is responsible for the financial disclosure documents. Retired County Attorney for Anne Arundel County, David A. Plymyer, picked up on that detail when he wrote an in-depth report on the record purge last month. Plymyer pointed out the Ethics Review Panel’s independence from school officials and its regulations. Plymyer said since the ethics panel has its own attorney – Andrew Nussbaum, Esq. – he questioned how Howie, the school system’s attorney, could direct such a purge. Plymyer also stated the purge, in the context of an audit, lacked sense. “Common sense dictates that any scheduled or unscheduled purge of the financial disclosure statements should have been postponed until after completion of the procurement audit,” he said. While Howie, nor other system employees have responded to repeated requests by The Baltimore Post for clarification on the record purge, Nussbaum told The Post that he, nor the county’s ethics panel, were notified in advance of the record purges. In May, the scope of the long-awaited procurement audit, which spans 2012 to 2017, was approved unanimously by the Baltimore County school board. But the approval would come one month after 2,400 of the financial disclosure documents were destroyed by the system’s law office. Later, 200 more would be destroyed while the audit was underway. Yet, board members were unaware of the purges at the time. And among the destroyed documents are years 2012 and 2013 — years that are part of the audit’s scope. The school system will not provide a status on the audit. As part of the complaint, the four board members have asked the agencies to act quickly. After board members learned about the record purges, the school board voted to direct the system’s interim superintendent and all school personnel to “immediately cease and desist in the routine or non-routine destruction of any and all school system documents and records until the conclusion of the external procurement audit AND until further direction by the board with regard to record retention.” Board member, Ann Miller, made the motion that was approved by the majority of the board. But, some members of the board, as well as education leaders, see the downside of the directive – fearing a logjam – and have honed in on the retention of emails as problematic for the school system. As a result, Causey, Hayden, Henn and Miller have asked the state agencies to move quickly for fear that the directive to cease record purges until after the audit will soon be reversed. “The complainants are concerned that the Board will vote to rescind or make impotent the cease and desist record destruction directive at the next board meeting on the evening of Tuesday, Sept. 25, 2018. WE ASK THE AGENCIES RECEIVING THIS COMPLAINT TO ACT IMMEDIATELY BEFORE THE CLOSE OF BUSINESS ON TUESDAY 9/25/18 TO PREVENT ANY FURTHER DESTRUCTION OF RECORDS,” the complaint states. Today’s complaint by board members seeks to compel the five agencies to look into the destruction of roughly 2,600 financial disclosure documents in the context of heated discussions about a procurement audit – the scope of which was being determined during the time the records were destroyed. Baltimore County schools’ ethics policy states it is the school board which is charged with taking appropriate enforcement action to ensure compliance with its ethics policy and compliance with financial disclosure filings. The board, as a unit, is also authorized by Maryland law to “determine, with advice of the county Superintendent, the educational policies of the county school system.” On the system’s website it states the board’s three major areas of responsibility are school policy, school budget and school property. Causey, Hayden, Henn and Miller say in their complaint to the state agencies that it serves as their “obligation as public officials to notify the Maryland State Archives of any actual, impending, or threatened unlawful removal, defacing, alteration, or destruction of records that shall come to the agencies attention,” which is a requirement of state law. Baltimore County schools has not responded to repeated requests for comment or clarification. Yet, one month after The Baltimore Post brought up questions to school officials about an employee’s failure to disclose a consulting job with school vendor, SUPES Academy – a company involved in the system’s former superintendent’s conviction – that employee’s disclosure record was also purged. No one from Baltimore County schools responded to requests for clarification on that matter. Instead, along with roughly 200 other financial disclosure documents, records show that the law office simply purged the employee’s 2013 disclosure document. Correction: An earlier version of this article indicated that in excess of 300 records were also purged on 8/1. The correct amount was actually 200. In all, roughly 2,600 financial disclosure statements were purged by Baltimore County schools’ law office in April and August.